Somehow I have started to check on other watch brands that somehow is starting to grow on me. The reason for some of these brands are the vision, passion and commitment I somehow feel these brands have compared to the more "known" brands. And when they build a Deep Sea - that means that they still are in business for the real tool watches. But other brands - I have seen moving towards "easy" money - and somehow I'm glad that the crises came - the type of watches, and the prices was way to much. Well you all know that I have a soft spot for Linde Werdelin - and hope to get one by end of next month - just have to save up a little. The brand is Magrette - All watches are "limited" series - of maximum 500 - and the best thing is the price. Straps - homemade, custome made or "factory" made. For Panerai there is a big talk about straps - I for one don't have that many straps. Many people that have Panerai watches have more than 20 straps for one watch. And that is all ok - but somehow I have the same view of straps as I have on my watches. They are to be used, and used without any throught about what they are exposed to. I have some straps that are "factory" made, and some from "factory type" hand made straps, but the straps I love, and use and recommend are straps that are made by single persons. Somehow these straps are 100%-300% better quality than the "best" factory straps. When I post pictures of my straps - well it is more pictures of my watches, but somehow the straps is there as well - I get many request on where did I get that strap, can they make one more, etc. But for now my personal strap maker is not making that many new straps - so I have also started to look abroad for a "didicated" new strapmaker. I'am a one strap maker kind of guy ;-() - I stick to one person - if I like the straps. It can become a kind of personal "relationship" between you and your strap maker. Find your strap maker and stick to him. And from my own "strap pusher"
The difference between a "watch collector" and "watch owner". There exist a fine line between watch collectors and watch owners. I try to see myself as a watch owner and less as a watch collector - but have to agree that there is a very fine line. How do I see the difference between myself as a watch owner and a watch collector. I see my self as a watch owner as I would never own a watch that I would not wear - I would not buy a watch I did not think is VERY nice and something that I would wear any time any day. A watch collector as I see it would also buy a watch if it had a place in a collection - even if the watch is not to be used. Watch collectors can have watches with box and papers that would never been used. I would not buy a watch - and have it sit in a box not to be used. I do have some watches that see more wrist time than others - but I don't baby any of my watches. And if I by some happy way got my hands on a Rolex Comex, Milsub, Omega Speedmaster (cal 321), Rolex 1680 red, Rolex DRSD, or any other watch that is out of my league. I would always wear and use these watches - daily and in all kind of situations. My panerais and vintage rolex - get daily abuse and they do get some dings and scratches from time to time - but hay that is a price I'm will pay in order to have these nice watches on my wrist daily. I have this project about making photos with watch content. So far I have made 12 watch photo series. No. 9 - The Watch with another "object"
I have also added some other photos I have made of my watches - and I will also add some information on my way to make photos of watches. So check it out - All the series are present on one page here. This "picture" gives a very nice and quick overview of all Panerai models. Credit goes to where credit is due - but this is always nice - maybe other brands should have the same easy overview of their watches - anyone ready to do the same for eg. Omega, Rolex, LW, IWC, Sinn, etc. 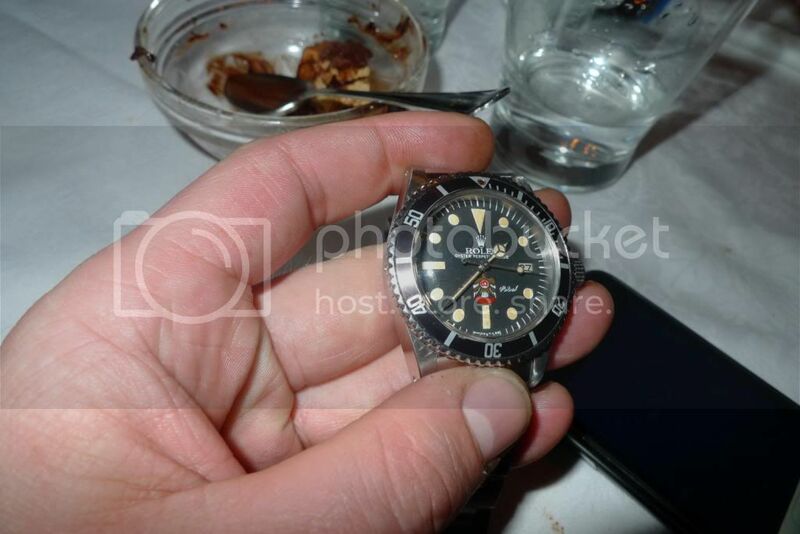 One photos speaks more than 1000 words - and with photos like this, it would be easy to always have a reference check of watches. Remember it is not every body that knows which watch people are talking about when saying 5513, 16610LV, Pam 1, Pam 25, etc. How about a car watch with tourbillon - and matching car! Why not make a watch case of damask steel? I used to have a small interest in knifes, and got myself a Chris Reeve Sabenza (small) - check the photo of my Rolex Sea-dweller. My idea on the more and more personal watches where the individual person will be able to design some features on the watch that will make it unique to that person. Right now the most unique watches are still what is called limited editions (from 20-2000) - but all these watches are more or less the same watch. Only unique part of the watch is the serial number. So how about a truly unique limited edition watch. Where each watch on the "surface" is different on each watch. So my suggestion is to make a watch case in damask steel - then all watches would be unique with a different look. So my suggestion is that Linde Werdelin make a case of damask steel - there case are big, and has a shape that invites to the kind of steel. So LW lets see a prototype of your watch made with damask steel. Take a look at this little photo report by Jocke from this years Basel. 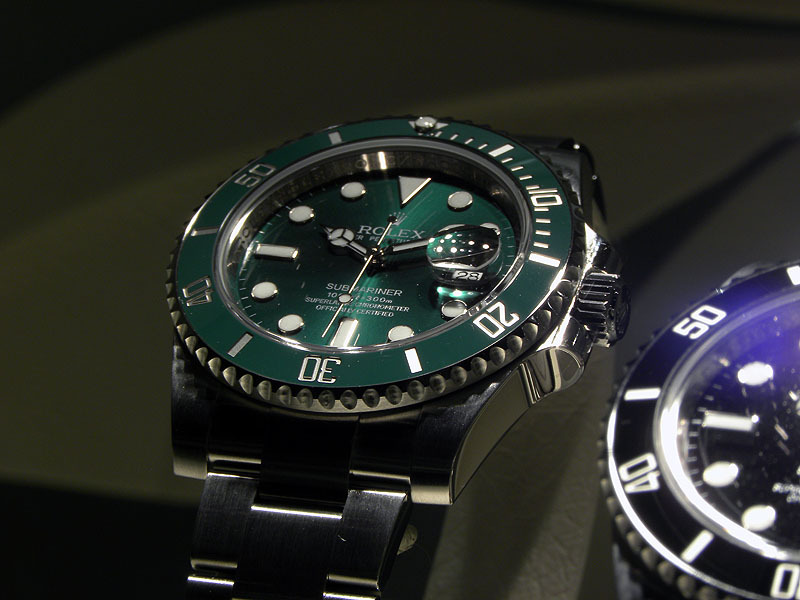 I like the close up of the rolex and and of-cause the LW watches, but I have to say that my "verdict" is still out on the new Rolex Subs. The "new" green sub is a little over the top I think - why did they make the dial green as well - now that is a little to much color for my taste. 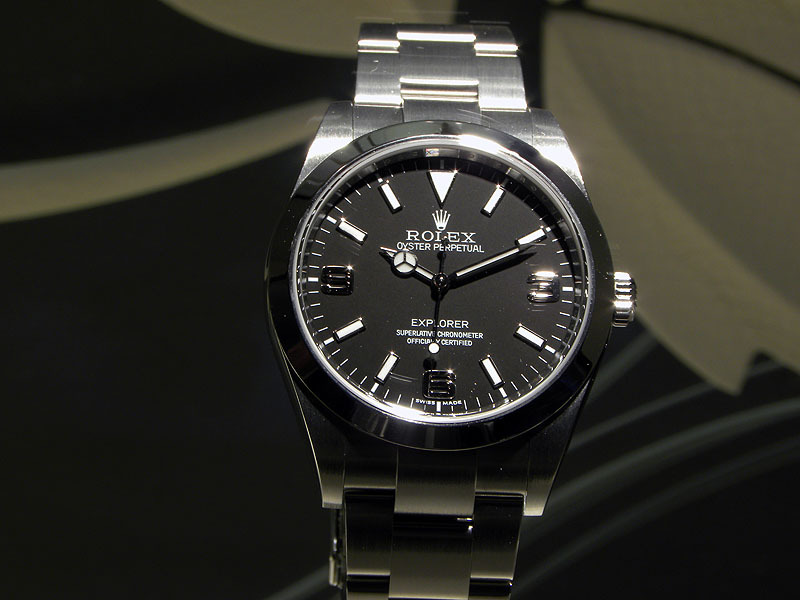 But the new Explorer I with mat dial and black out numbers looks very nice. Some new photos of my Panerai 25C - and the nice strap from my locale strapmaster. Here is the latest photos of my Panerai 25C with the moster strap from my locale strap master here in Denmark. It is still a nice strap - it is a moster one - +6mm but somehow it feels very nice on the wrist. Much better than slim straps - it matches the size of the watch - and I really can't say how much a nice strap does to a watch. I like my straps dark - no light straps for me - and I'm ok with color stitching - that can give some nice look to a normal strap. SOmehow I like the green color stitching - it matches the tritium on the dial. Spring is on the way - So I was a quick trip to the summerhouse and at the time toke some new photos of my first real watch. My Heuer 200m Diver Professional - which I got when I started to scuba dive, and get my CMAS ** "dive licence". Somehow that watch was a very nice one - even if I would love a Rolex that time, I did'nt have the money for that kind of watch. And I can even remember that I did select the Heure becasue it had minral glass and the rolex only came with plexi!! 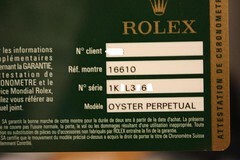 If only I had known - I could have had a rolex 5513 vintage - with all the box and papers now. But there is ofcause no saying if I would have been become a WIS back then. I was not even a WIS when I got my first Rolex - it was only becasue I would LOVE to have a rolex - it was a dream watch for me. But back to the Heure 200m professional watch - and the new photos. Somehow it still has a nice look - the design remains a god one - better than many TAG Heuer dive watches I think. Keep it simple - yes it works. So it would have to be a "man" ONLY trip - and that have to be planned in more detail. Maybe next year I can have a drink and/or a beer with a number of my "online" friends - it is always nice to put a face on the persons your "talking" to over the net from time to time. I'm most interested in what Rolex and Linde Werdelin will present - I'm almost sure what LW will present, but Rolex have a way to surprise their followers. And I guess that I was correct that the 16610LV sub has come to a end. My view of the new "green" sub will come shortly - right now I'm not over the top over the new "green" sub. 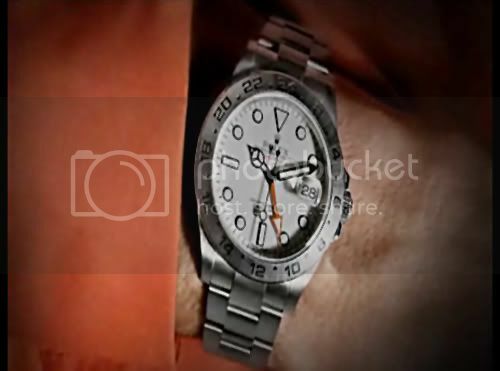 The biggest rumor is that the new Exp II will be with 24 hour hand from the first Exp II (1655) the orange arrow. Time will show. More information to come - but you will find all the latest information from the BASEL 2010 on the different forums on the net. Will a simple movement "survive" longer than complicated movement? Anyone have an idea if there is a quality/service issue with the more complicated watches. Do complicated watches need more service than simple watches. I know there has been some talk about rolex movements - that they are simple but just keep on working. I think I can remember someone talking about the lack of detail and "craftmanship" in rolex movements compared to eg. patek - but at the same time the rolex movement that has "no" problems. On the other hand - what is the quality of more complicated movements - do they have issues from time to time that needs more service, are they more prone to failure, or what. I have a feeling that movements that are basic - will also survive longer - it is more a issue of the quality of the material used and less on the "finer" works of a movement. But as I "only" have simple watches - Rolex and Panerai (ETA) I'm in the dark about this question. 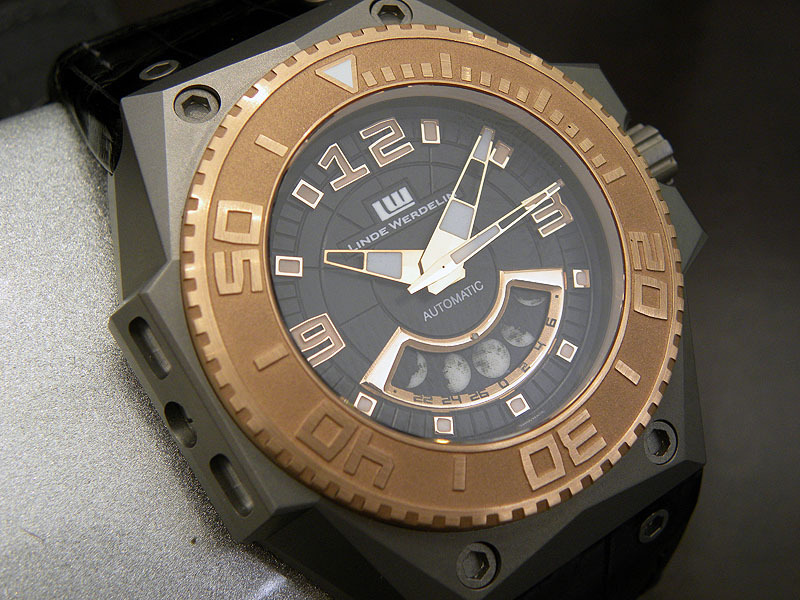 The Linde Werdelin Oktopus Tattoo - that is what I call a personal watch. A "normal" Oktopus with red markings and Oktopus markings on the hour and minute hands. A bold design - And I must confess that even if I'm a simple watch guy - this bold design will be a watch to be owned by a man that can stand by this bold design. I also hope that these watches will be used in real life and not spend their life in a box - packed away, out of light and out of sight. 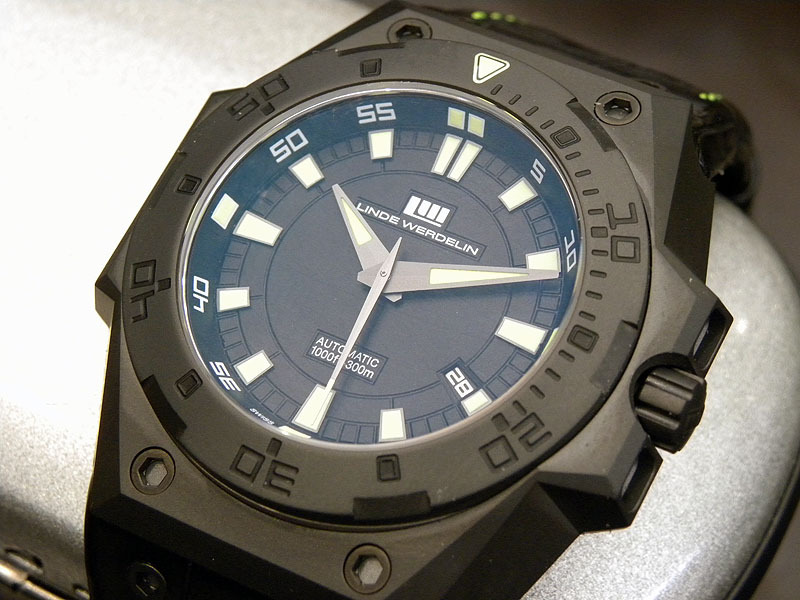 Read here the information from Linde Werdelin. LINDE WERDELIN, the leading sports watches and attachable instruments manufacturer, is proud to present the latest addition to the Oktopus family to be unveiled at BaselWorld 2010, the Oktopus Tattoo. A true example of art and craftsmanship, the steel case of the Oktopus Tattoo has been fully engraved with an octopus tattoo design especially drawn for the model by Danish tattoo artist Henning Jensen. Powered by a Frederic Piguet movement (calibre 1150) the new Oktopus model also bears distinctive dial details, which add to its unique allure of the LW diver watches. What to buy when going vintage - the watch or the story? 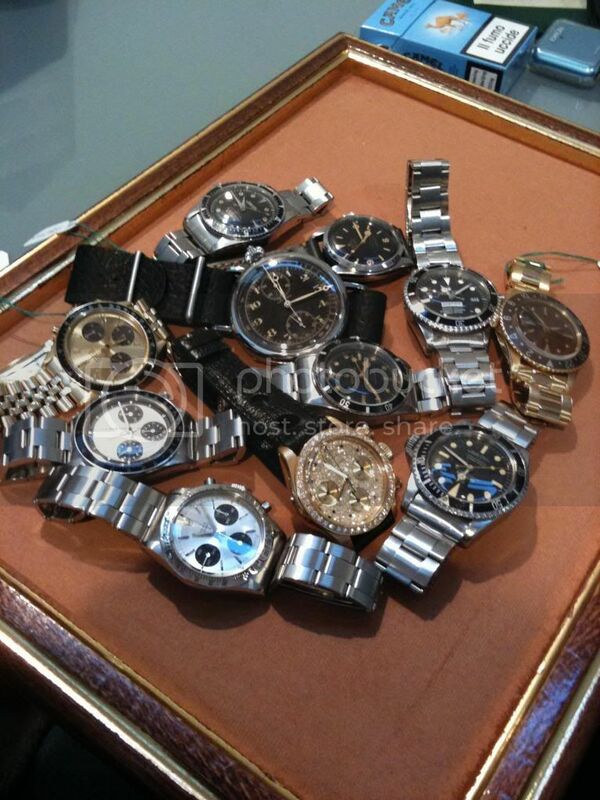 When buying vintage there are multiple ways to select which watch to buy. What are your focus - is it a prestine vintage watch or is it a vintage watch with a story. There is many steps in between - but I'm more into the watch with a story kind of watch than the NOS kind of vintage watch. Lately I have seen some nice exaplmes of COMEX and Milsubs (Rolex) that is so nice looking that I can't understand that they have been used in real life (without a major overhaul). So my question is - what kind of watch do you want to have in your collection - based on my rating scale. The problem with this scale is that it only have focus on the watch and the way it looks. Nothing of this will have focus on the history of the watch - and for me that is something find very interesting - probally more than the look of the watch. So if you had to select between two watches - which one would you get. 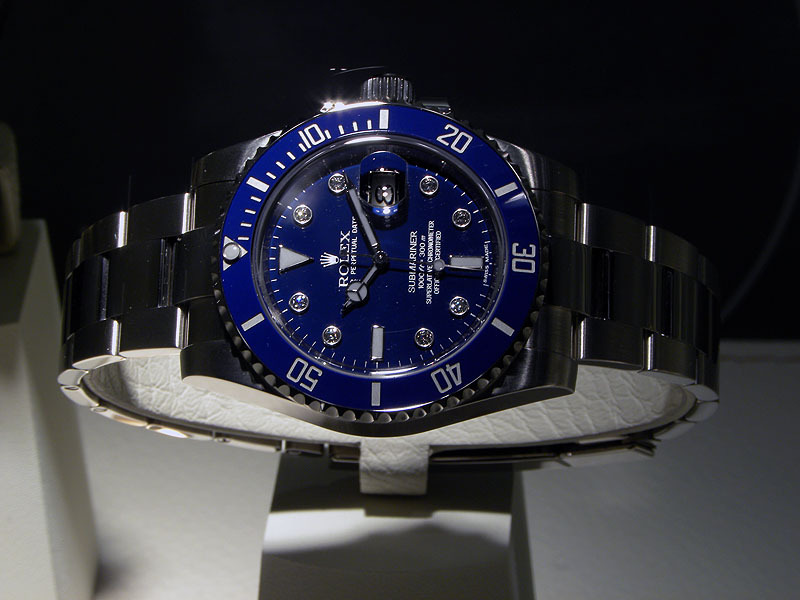 I would like a Rolex Milsub that is beat up - and with ding and dongs from its active life. If the Milsub then came with a letter from the owner, and a history of the watch life in the "fast lane" - I would be a happy man. I would like a watch with history better than a NOS watch - then it is only a watch in a limited series. Same for a COMEX watch - I would prefere a watch with a dive log, much better than a desk watch without any "history" - It might look nice - but it lack the history. How do you select wich watch to get? With the upcoming BASEL watch fair there has been and a lot of rumors. I have not been part of the predictions until now - but I will try my own little predictions for the years 2010-2011. In the last couple of years there has been a focus on building new kitchens, high tech and big. The kitchens should be with the latest technology, and be seen as the "new" proof of success. This trend has changed over the last 6 month - the focus is moving into the "back to basic" functionality, where there focus is on the the "way" you feel and not just the looks. How do I translate this into watches. So I predict that the trend for 2010-2011 will move away from big watches, tourbillons, "bling" over into watches thatt is normal to medium size, have a basic look, a simple design, something that has proved its value over time, and very much less bling. I even predict that there will be more focus on vintage watches - and watches with some history (in movement, design,etc). I will soon have a box coming!! Now I ask you all - What will be in that box? I guess you all have a idea of the type of box coming - it must be watch related. But which watch will it be ? Will it be a chronograph, will it be a dive watch, will it be a GMT watch? Time will show. I'm close to transfer the money in about a weeks time. So now I have got my money ready - and I better use them on this watch I have had on my mind for more that 2 years. This is one nice watch winder - check out this you-tube video. I'm a guy with a simple taste - I like things simple, to basic, focus on functionality and less on bling. I have never been a gold watch guy - but some of the classic rolex gold watches are beging to grow a little on me. But back to the question - Simple designs versus the more complicated designs. I feel that people is either more into the complicated watches or into the more simple watches. So my focus is on the basic designs and not so much on complicated designs. I would love to have one or two watches that have some limited complication - like a Rolex daytona, Omega Speedmaster or AP OffShore - but this is also more because these are "icon" watches and not just becasue they have more features. My most complicated watch right now is my GMT and EXP II with 24 hand. Next most complicated watches is my dive watches. And my most simple watches are my PAM 1B. This time I will bring photos from travel that have watch content. Any photo of your watch from any travel is welcome - only rule is that your watch must have a place in the picture and you can see some of the enviroment from your travel. Water and Ice - Spring is on its way. I was a quick little trip to the summerhouse, just to see if all was OK, and see if is was ready for the spring time. Well all was nice, just a little water demage in the bathroom - I need a new toilet. Well the old one was very very old - so it was not that big a surprice. Well I was also a quick trip down to the water - to take some of my "official" water and watch photos, as you all know. I still have some watches and photos in the back of my mind. - It can't continue - well maybe it can - I still have some watch photos in mind that will come to a forum near you. This time I will focus on "The Package" photos - this includes photos of "the unpacking", and photos of the complete package. One type of photos you will see from time to time is the unpacking of a packet with a watch inside. Again this is a WIS thing - how come you would photo the unpacking of a UPS packet step by step. But also photos of the complete package - not only the watch - but also the box and papers all in one photo is something for all of us with focus on watches. Here are some of mine "complete" package shoots and a unpacking photos. I would also like to thank all for the email contact to me - it is nice to have positiv feedback for you all. I Predict:The future of watch designs - make your own impact. I think that with the technology available, and the way people can interact over the Internet - I suspect that small brands will start to make unique watch pieces based on their customers input. 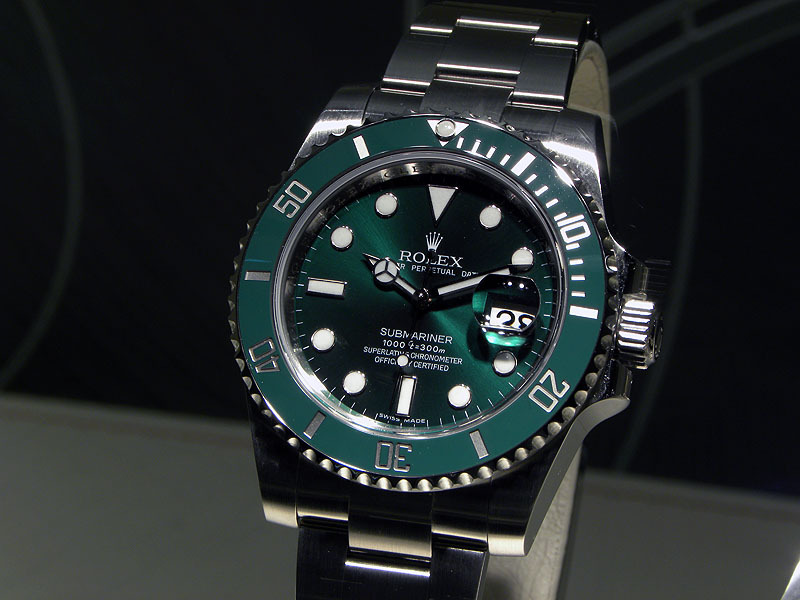 We all know the standard Rolex Sea-dweller - can be transformed into a valued time piece because of a COMEX print on the dial, and we have seen different firms offering custom made Rolex (project-x, etc) where a standard rolex watch is transferred into unique watches with adding or changing the original design a little. I have mixed feelings about this - but when I think about it the more I like the idea. It could be kind of cool to be able to "design" something special to your watch. I foresee that in due time people will be able to have "customized" their watches from many high end brands. 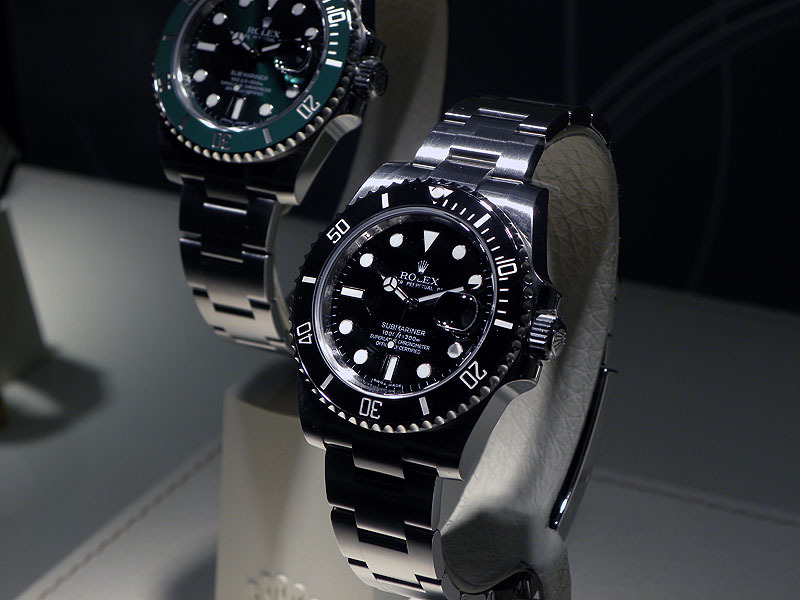 Rolex have done specific watches - Why should Comex or Military design on their watches in limited designs. I don't think Comex or others have paid that much extra (if at all) for the specific design they have requested. To a start it will be watch dials, but over time you will be able to have impact on other parts of the watch. Ok - all 10 times yes I did it - can I reach a even more? - Time will show but I have at least one more. 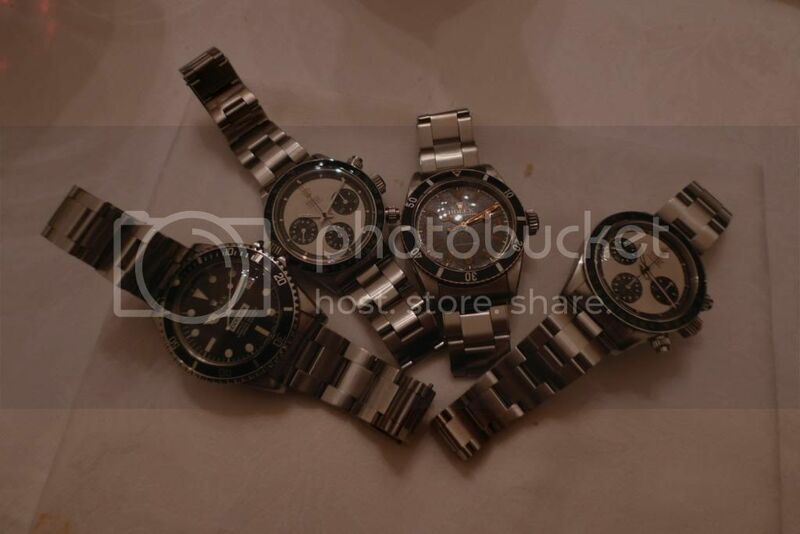 The watch photo group shoots - where we have mulitple number of watches in the same photo. 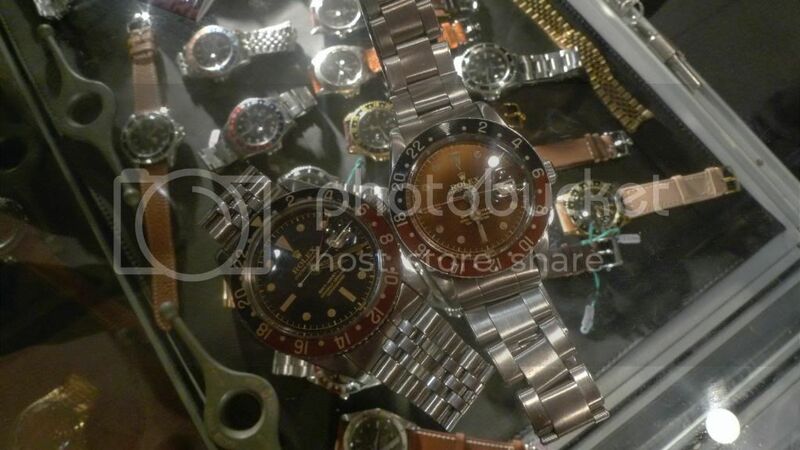 Any photo with more than 1 watch is valid entry here. You can mix the number of watches and you can mix the different brands. Some guys have all the luck ;-). 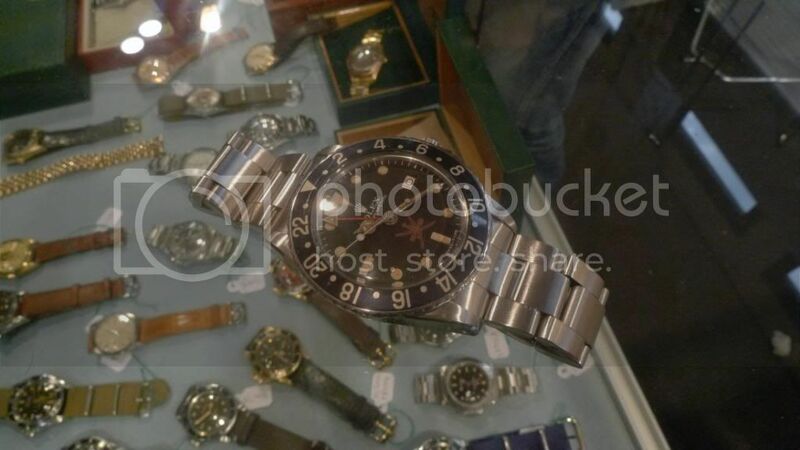 Found this very nice photo report on vintagerolexforum where there was a multiple number of watch dealers displaying what I would call a true heaven for vintage watch lovers. 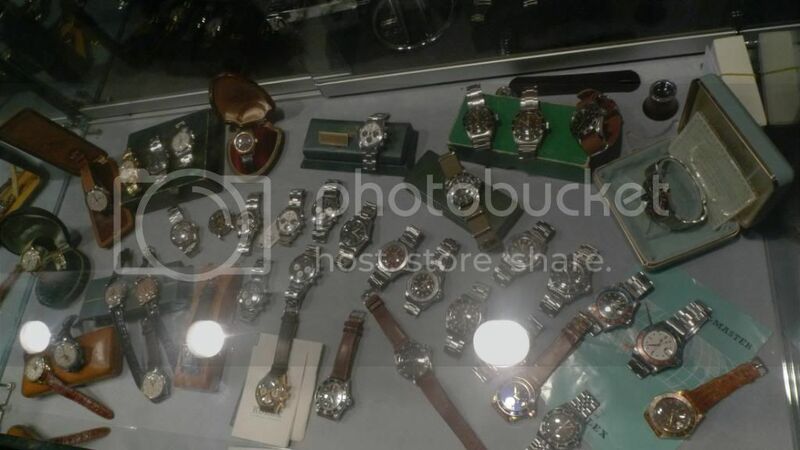 Some of the watches on display I did'nt even know existed - and many of the watches are icon watches and grail watches for any vintage watch person. Maybe I should plan my next year vacation after watch fairs, so I can visit these watch auctions while the wife can go other windowshopping.